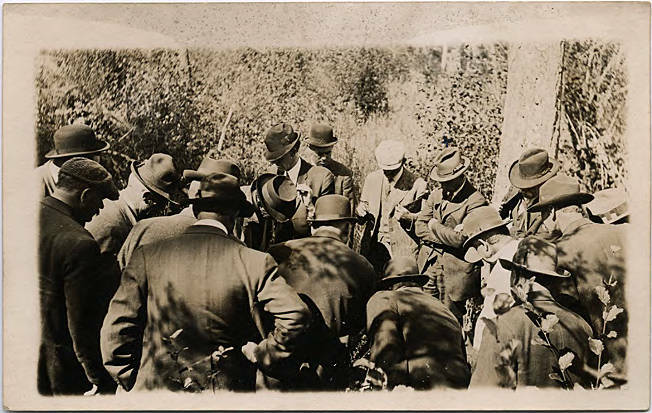 Black and white image of a group of men in suits and hats looking at something on the ground. Most wear stiff-brimmed hats, though two wear newsboy caps. Several are bent over to examine the scene more closely. Thick vegetation fills the background of the scene. [Back] Scene at the place where Bernett Thomson [sic] murdered a woman. 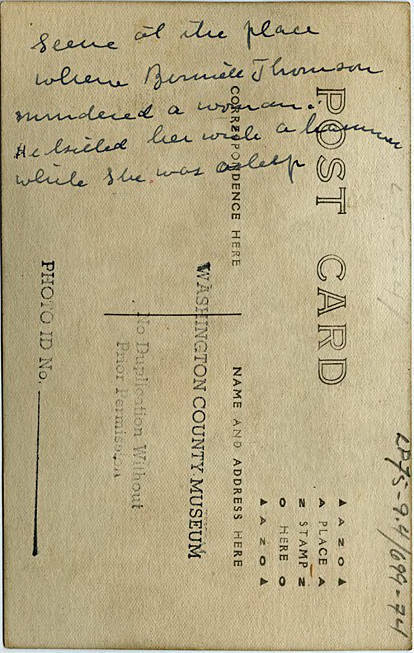 He killed her with a hammer while she was asleep.